Malaysia has always enjoyed a healthy relationship with other countries in Asia, she also has a large population of Chinese and Indians. who themselves bring in hundreds and thousands of visitors who are also tourists with Malaysia visa online. Malaysia has wisely made it easy for citizens from these countries to visit by making it easier to get Malaysia visa online. You can now get Malaysia tourist visa for a period of 30 days by submitting your documents online . This article is going to explain to you in detail how you can get your Malaysia visa online. This visa allows you to stay in Malaysia for a maximum of 30 days for both tourism and visit purpose . What are the different types of Malaysia online visa ? When you are applying for Malaysia visa online, you have 3 options with different benefits and costs. You can know more about them from the table below. Can you get us Malaysia visa online ? Yes. We can help you get your Malaysia visa . In fact, our service will help you get your Malaysia eVISA even if you do not have a flight & hotel already booked for your visa. 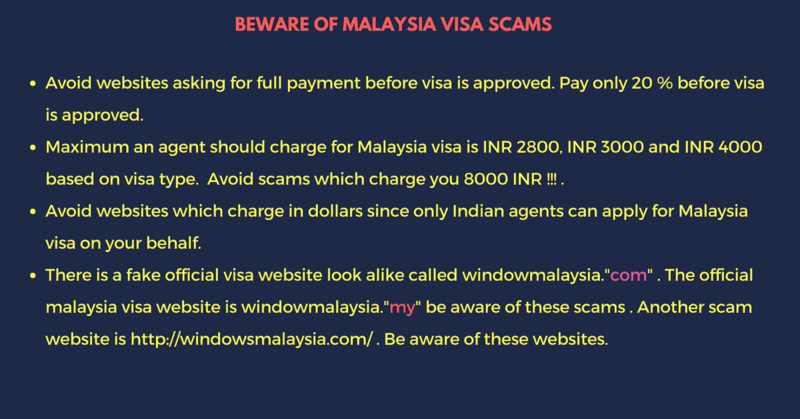 What is Malaysia visa online fees ? 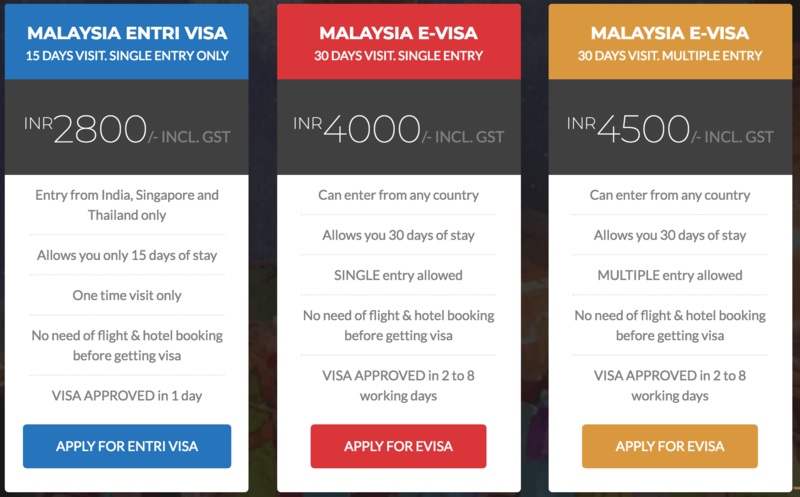 Although Malaysia government has waived off the visa fee (INR 1000) for eNTRI visas, you still need to pay the processing fee for Malaysia for eVisa. Below is a screenshot of the cost for applying for Malaysia eVisa. When you take this into account you would find our Malaysia fees to be reasonable, especially compared to the other online resources. All our prices includes 18% GST as well. 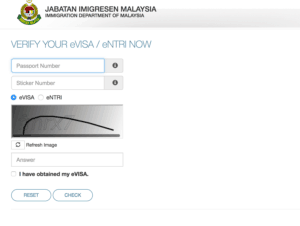 How to use your Malaysia online visa at the counter ? Once you reach Malaysia, you will be required to go through immigration. If you have all your documents in order, this will be a fairly simple process. To avoid any last minute panic, have your Visa (eVisa/eNTRI), your boarding pass, travel funds (travelers’ cheques, cash, or cards), flight tickets back to India (confirmed) and your accommodation details in Malaysia. Once you present your eVisa, you might be asked details such as how many days you would be staying in Malaysia ? What is your plan ? What would happen if we over-stay in Malaysia more than the days we are allowed to in the visa ? Can I apply my online visa from Malaysia ? No. 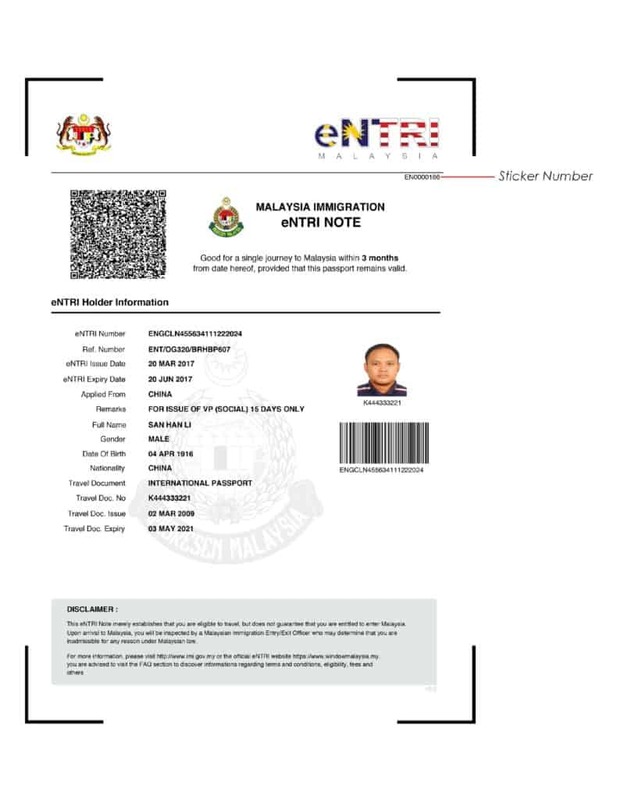 eVISA does not allow applications to apply within Malaysia. 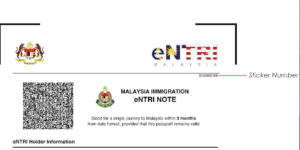 eVISA must be obtained prior to your entry into Malaysia. eVISA is vaild for 3 months while eVISA holder is entitled to stay up to a maximum of 30 days for each visit in Malaysia. Each application can only be used once and no extension is allowed.. This entry was posted in Uncategorized and tagged Malaysia online visa. Bookmark the permalink.